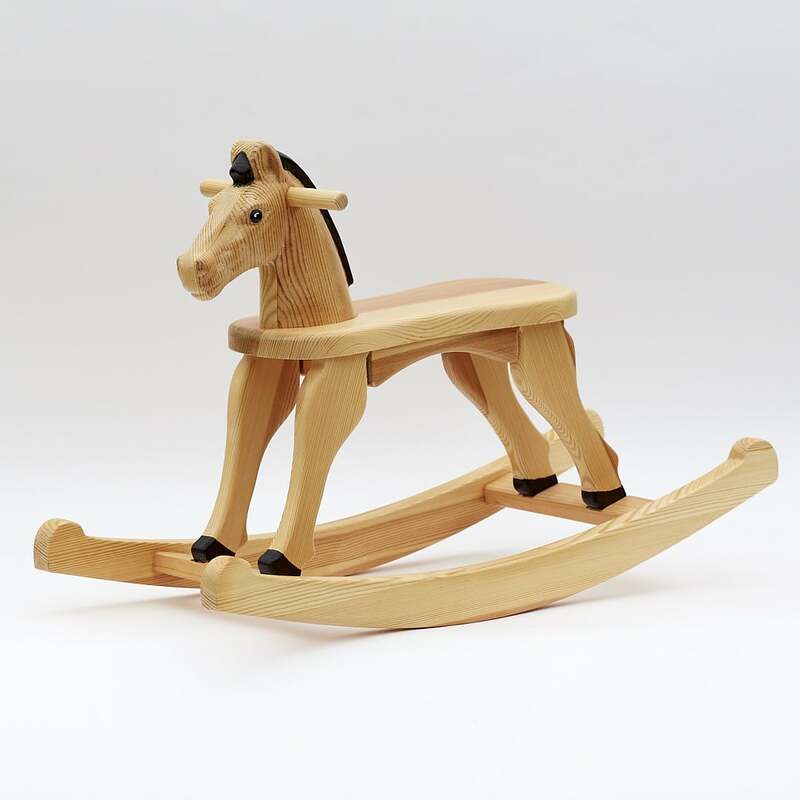 A wooden rocking horse with a seat height of 28 cm, with a weight-carrying capacity of 75 kg, hand-painted. Lacquered surface finish, this model has not a tail. 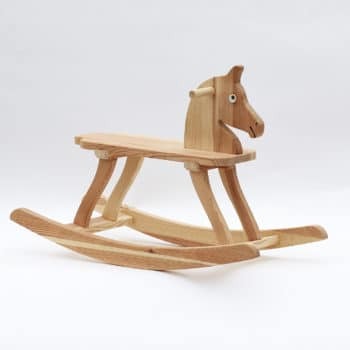 A unique wooden rocking horse suitable for children from 1 year of age, which is remarkable for its shaped head and the quality of the workmanship. The seat height is approx. 28 cm and its load capacity is 75 kg. 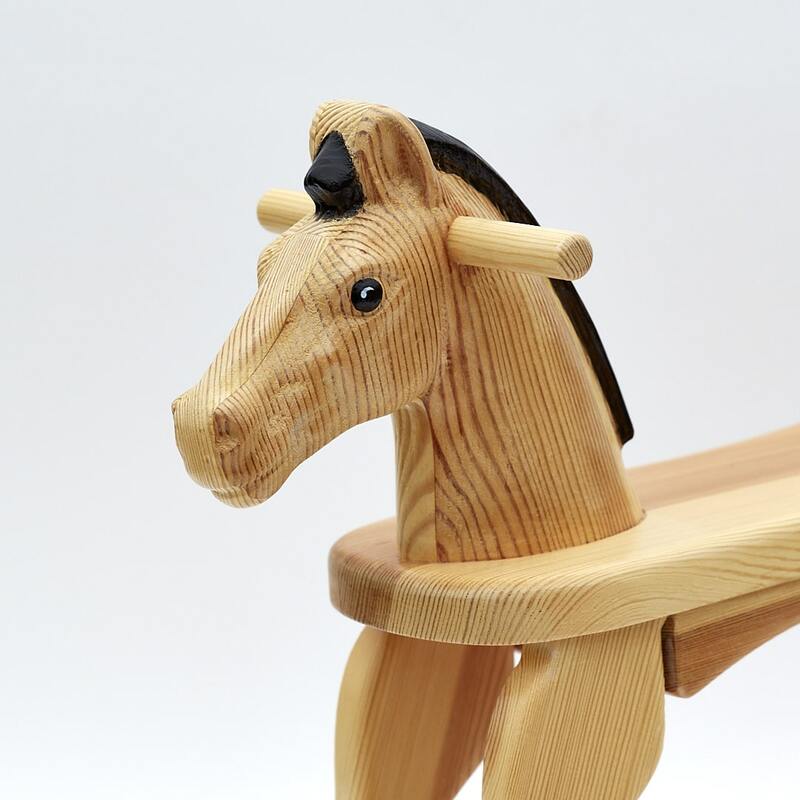 The horse is made of quality pine wood. All the joints on the rockers and legs are the deep mortise and tenon type made in a traditional manner so that the maximum service life would be achieved. This model has not a tail. The horse is lacquered with hand-painted coloured eyes, mane and hoofs using safe water-based paints. 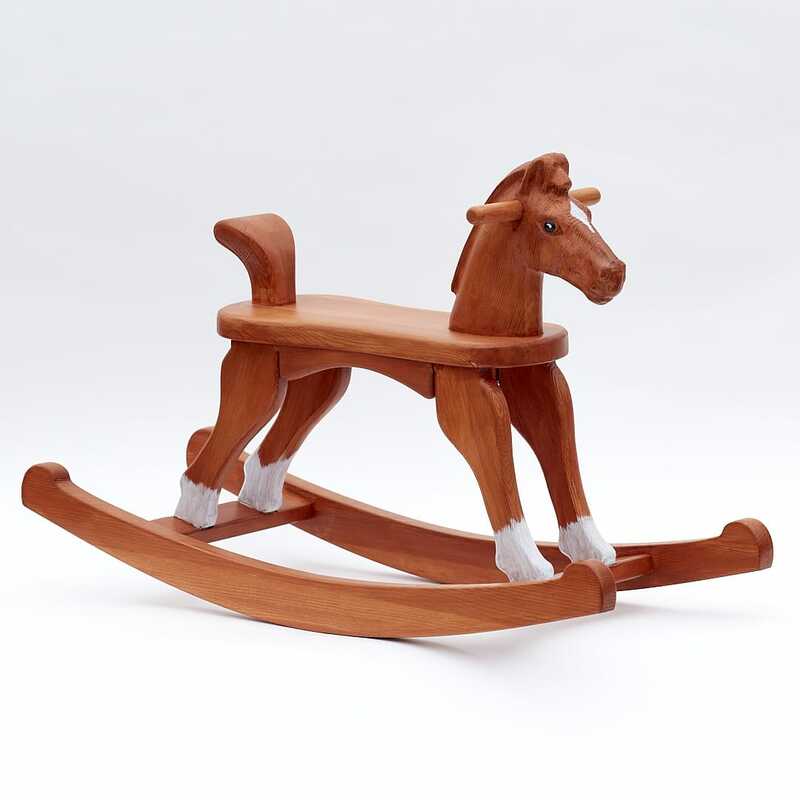 Elegant wooden rocking horse with natural surface finish. Seat height 25 cm. 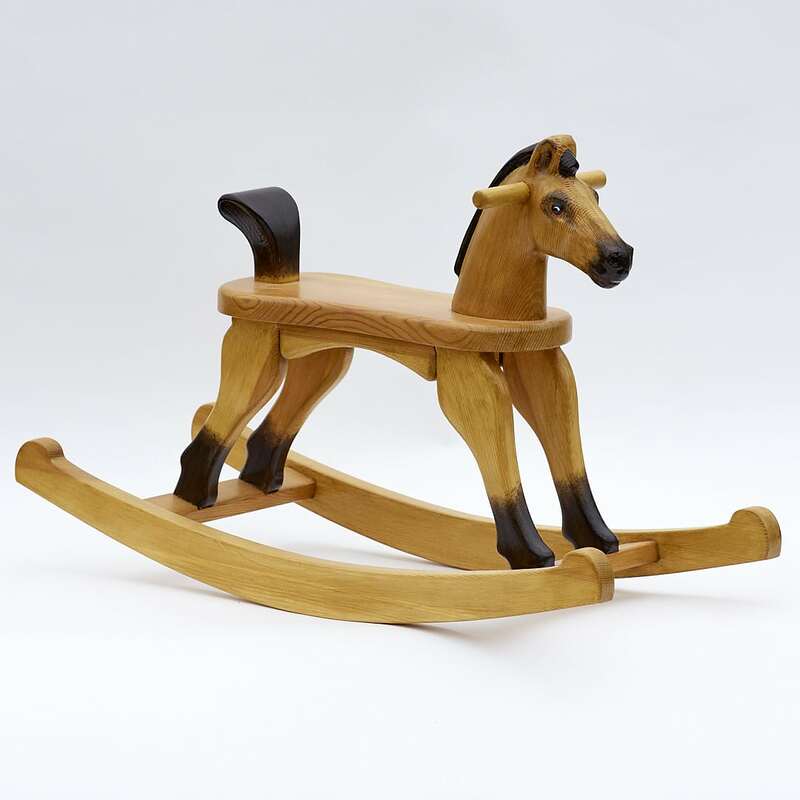 A wooden rocking horse with a seat height of 28 cm, with a weight-carrying capacity of 75 kg, hand-painted. Chestnut colour finish, this model has not a tail. 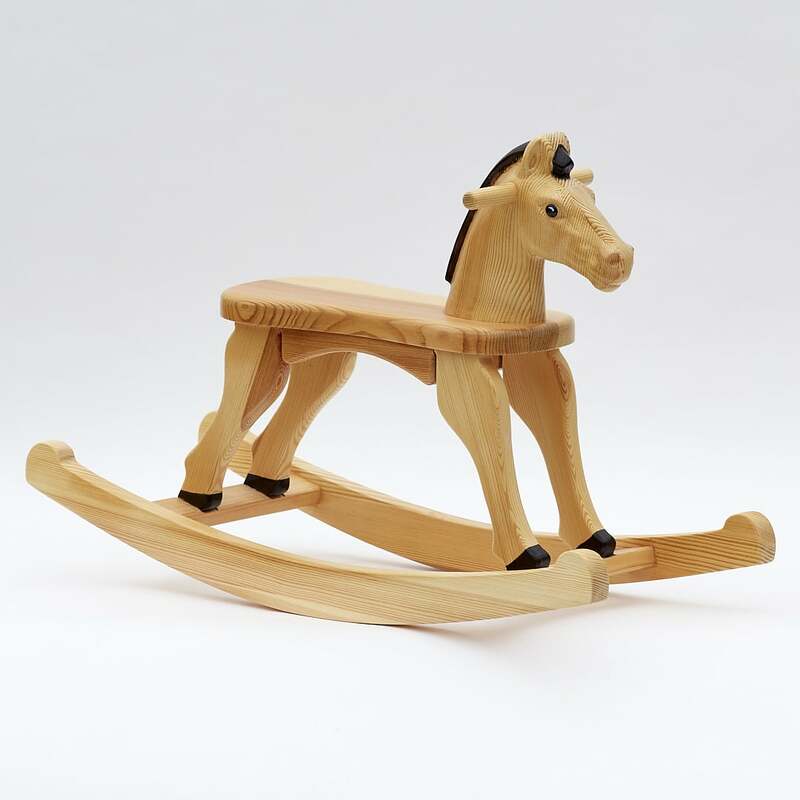 A wooden rocking horse with a seat height of 28 cm, with a weight-carrying capacity of 75 kg, hand-painted. Bay colour finish, this model has not a tail. 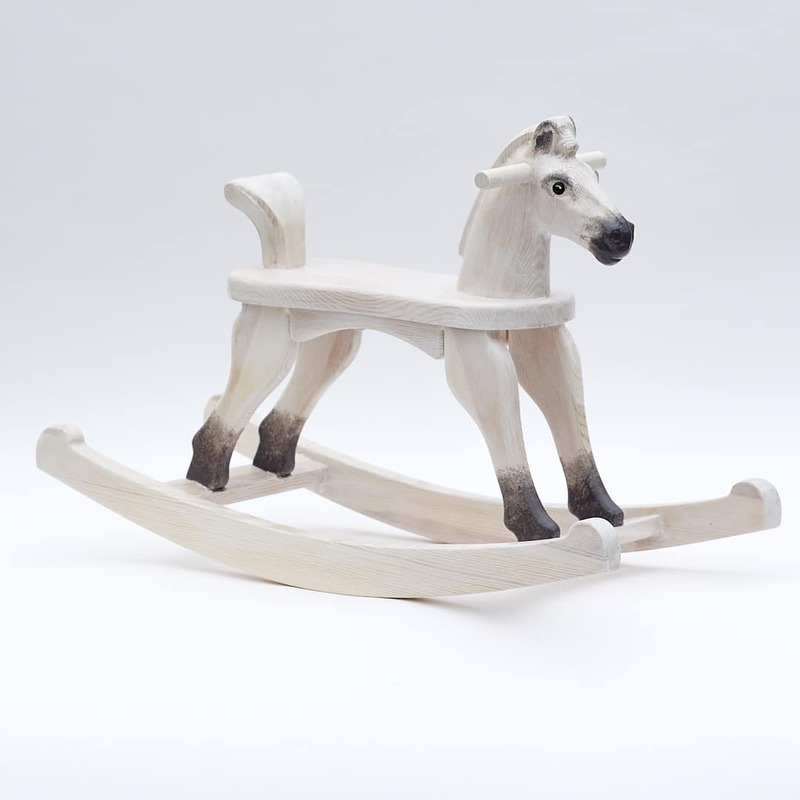 A wooden rocking horse with a seat height of 28 cm, with a weight-carrying capacity of 75 kg, hand-painted. Tan colour finish, this model has a tail. 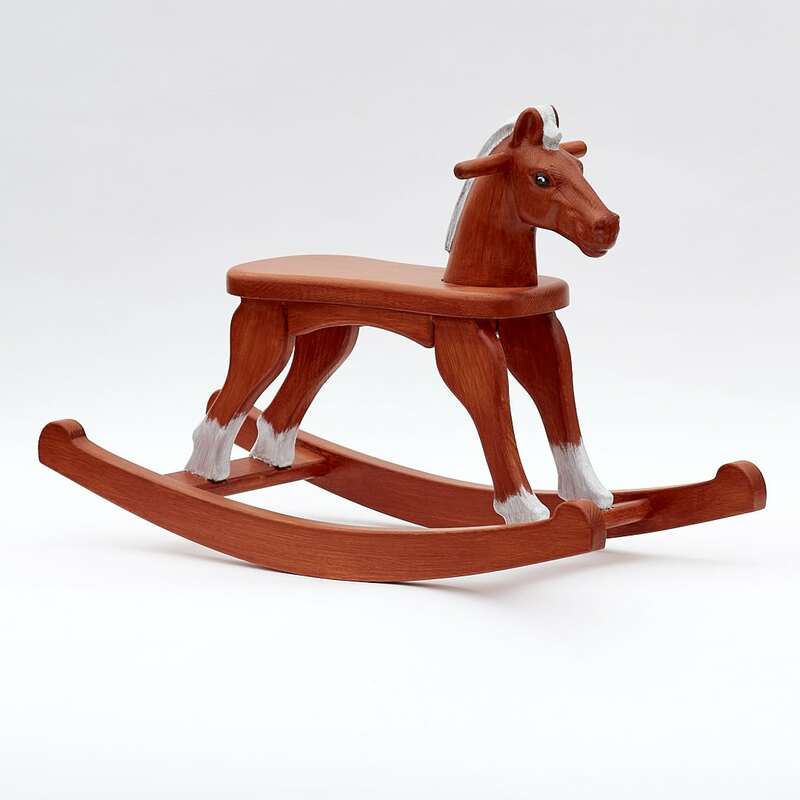 A wooden rocking horse with a seat height of 28 cm, with a weight-carrying capacity of 75 kg, hand-painted. White colour finish, this model has a tail. 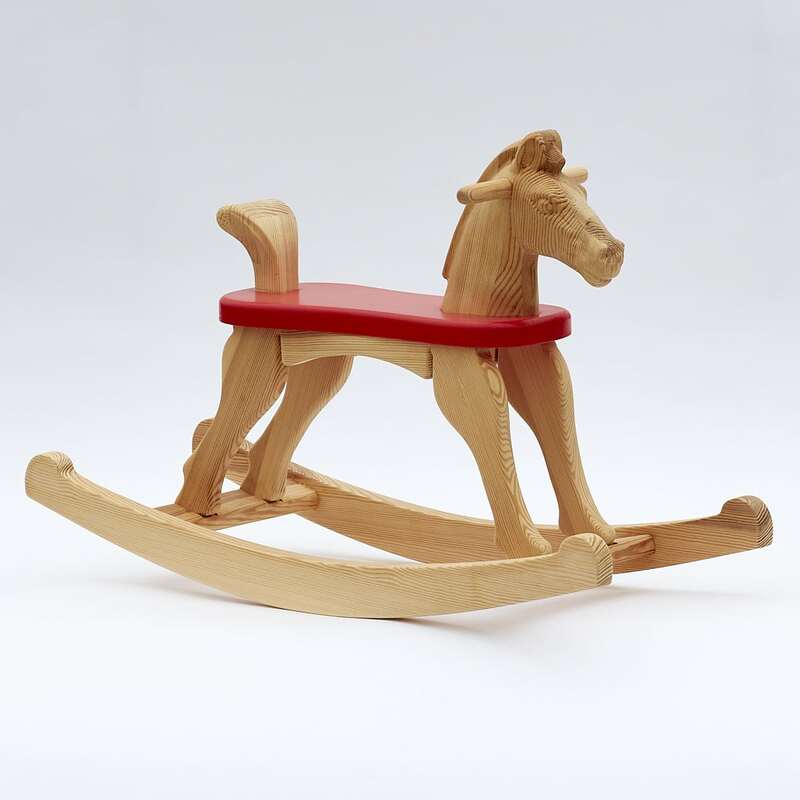 A wooden rocking horse with a seat height of 28 cm, with a weight-carrying capacity of 75 kg, natural surface, red seat. This model has a tail. 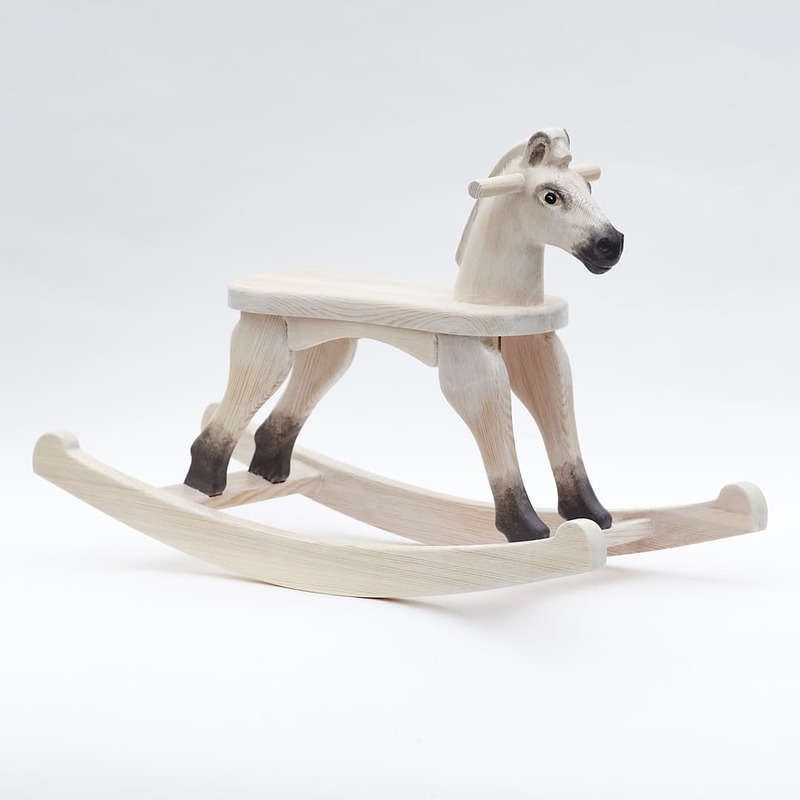 A wooden rocking horse with a seat height of 28 cm, with a weight-carrying capacity of 75 kg, hand-painted. Chestnut colour finish, this model has a tail. 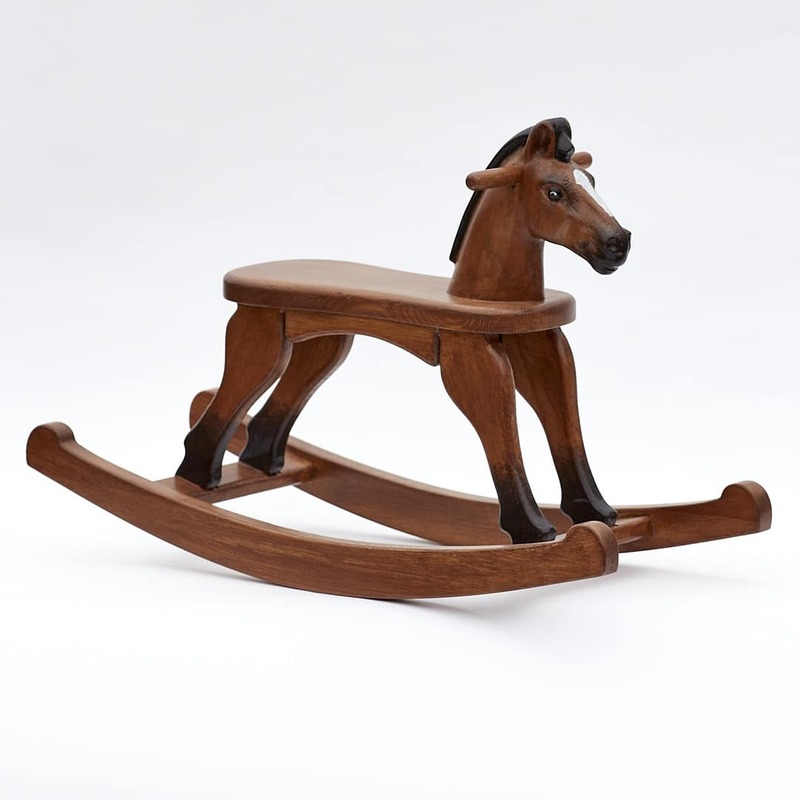 A wooden rocking horse with a seat height of 28 cm, with a weight-carrying capacity of 75 kg, hand-painted. White colour finish, this model has not a tail.